Even though you can find some nice sharing options for ‘social media’ sites on the bottom of each post here already I’ve decided to experiment with a new one: the new facebook ‘like’ button. (To the right of this post) Clicking on this button will immediately post the article to your facebook profile as a ‘like’, if you’re logged in, and it displays a nice overview of how many people liked the article. In addition, I’ve ‘liked’ my own online persona, the fan page that Levi Boitelle made for me earlier, and put the accompanying Facebook ‘like box’ on the home page of my website. If you’re wondering how you could add a similar thing to your own website; here is a very quick walk-through. As most of it is lined out very neatly on the FB pages, I will refer to those for most part, in fact, Facebook provides you with a nice how-to here on their Like Button page. Is Facebook the future? Well, this depends on how far you want to look into the future. 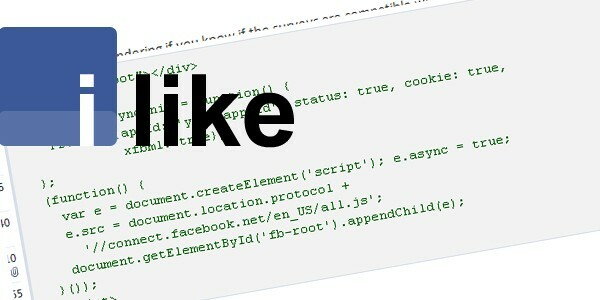 It seems like Facebook will definitely dominate the near future, so in that sense it may be a good idea to add FB integration like this on your blog/website. However, just like me you may have nice ‘social media’ integration buttons with your posts already. I’ve already got an extra retweet button, and now these like buttons to add to it?! You should be aware that it makes your page even more ‘full’ than it already is, and always be careful not to make your site the visual equivalent of a pinball game! Facebook seems like a good thing to be a bit more present than other sites, but you may want to rethink adding yet another button if you think your audience is not on Facebook to begin with.